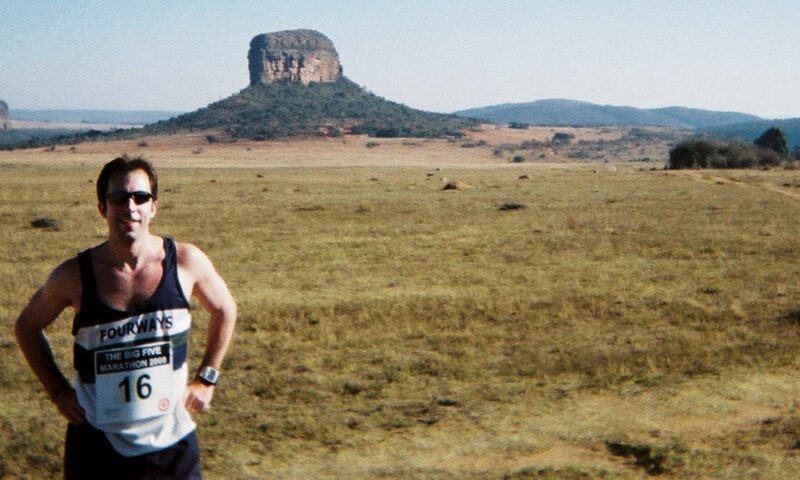 The two hardest time-based medals to earn at Comrades are the Wally Hayward for men and the silver for women. Just 17 women (0.5% of the ladies’ field) earned the medal this year. 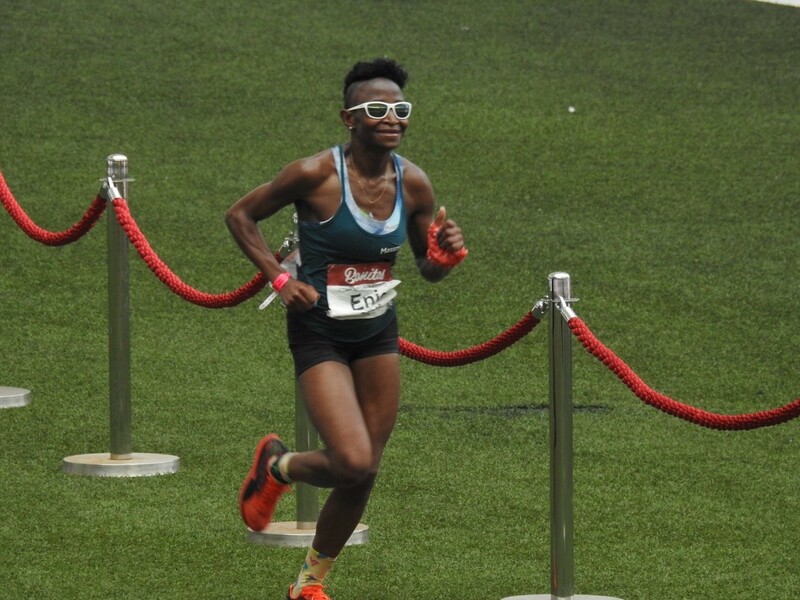 Surprisingly, considering South African demographics, this year’s Comrades saw only two black ladies finishing under 7h30 to earn a gold or silver medal – one of these was Enie Manzini. 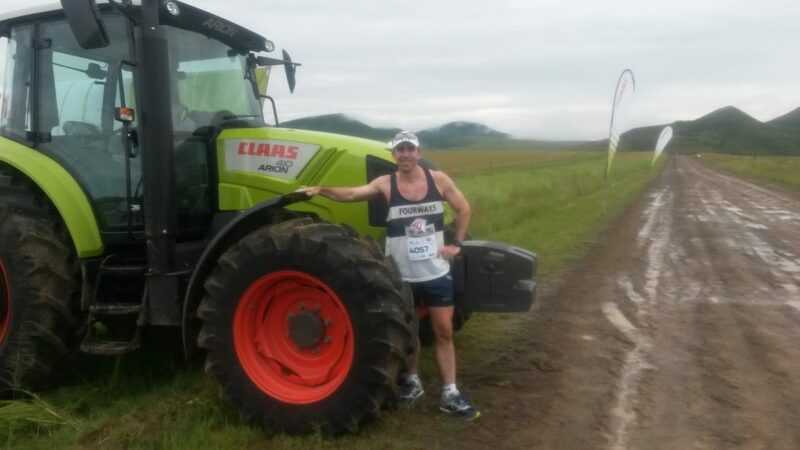 An inspirational athlete, firefighter, paramedic, single mom and all-round superheroine. She is also a survivor of domestic violence. 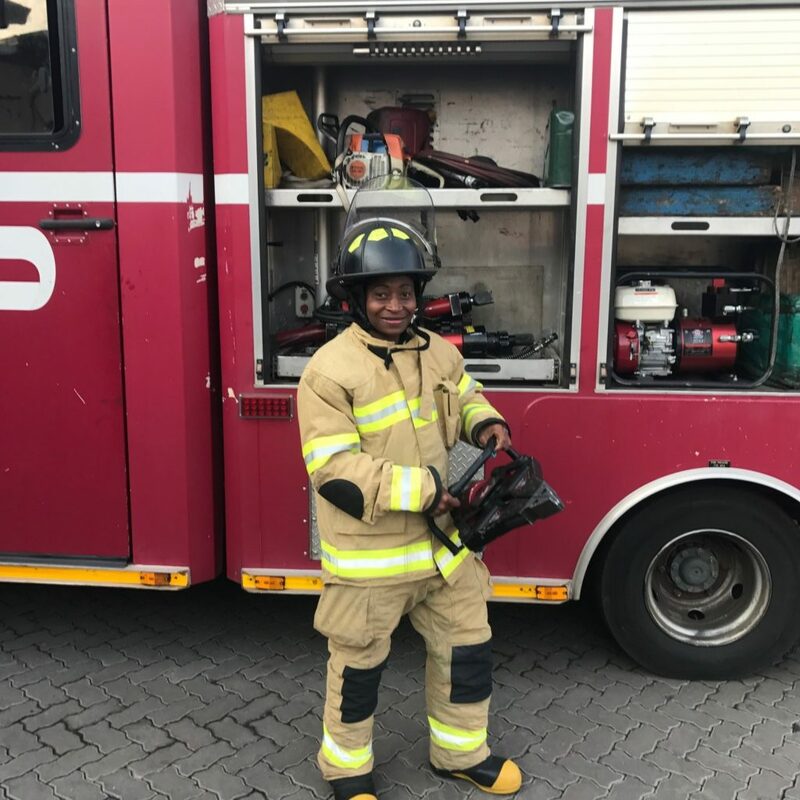 Superheroine Enie Manzini (in her firefighting outfit).